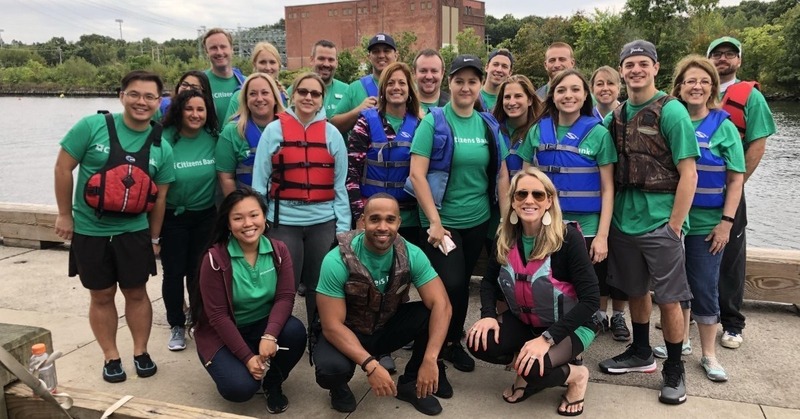 Team building activities are an important way we encourage collaboration and teamwork at Citizens Bank. When our colleagues spend time together outside of the office, they can develop more authentic connections, build trust with one another and can bring the lessons learned from the activity back to the workplace. 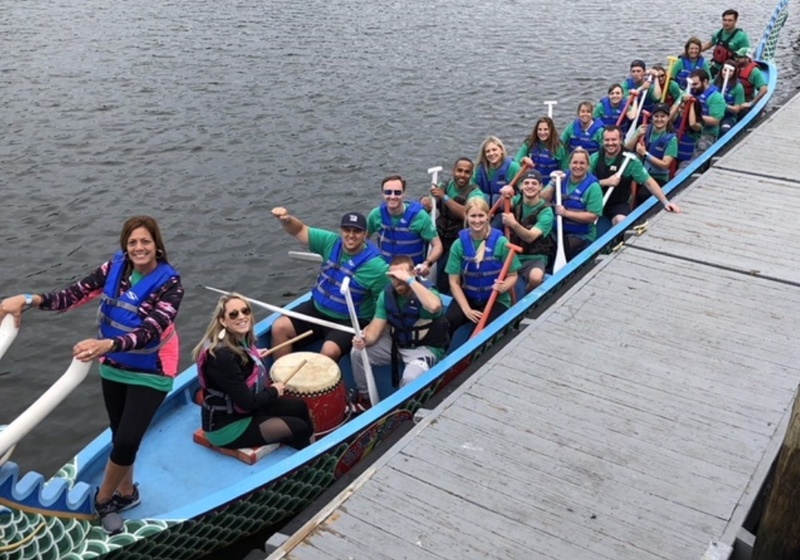 In that light, colleagues from our New England South (NES) retail market tested their skills by participating in the 19th annual Rhode Island Chinese Dragon Boat Races & Taiwan Day Festival held in Pawtucket, RI. The event celebrates diversity and fosters teambuilding through a series of races on the Pawtucket River. The races are held on a 1,000 foot long course and offer teams the ability to race in one of three Taiwanese-style dragon boats. Each team consists of over 16 paddlers, a steerer, a drummer to help groups stay in sync, and a flag-catcher to hopefully clinch the win as teams cross the finish line. Isabella, a Multi-Site Branch Manager, commented on her race experience, “I think it showed the importance of working together. You had to stay in sync in order to be successful.” The team’s competitive times in their first two races earned them a spot in a final race. In addition to the races there were Taiwanese arts & craft tables, a dumpling eating contest, a jump rope contest, food trucks, vendors and cultural performances throughout the day. Colleagues could come together to play games and network as they pleased. The team left feeling with a sense of comradery and competitive purpose, eager to participate in more team building activities in the future. Explore more about life at Citizens Bank and how we support our great colleagues.